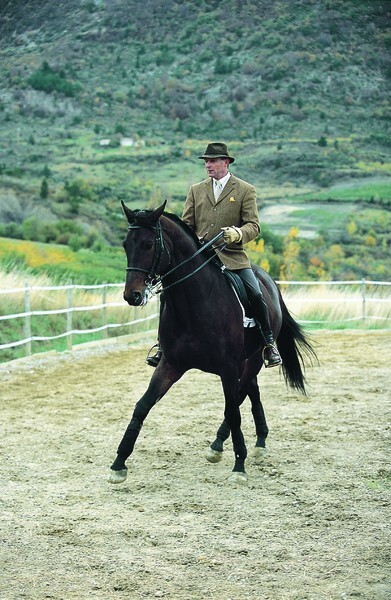 Mr. Karl developed the School of Légèreté to provide a consistent method for teaching riding. 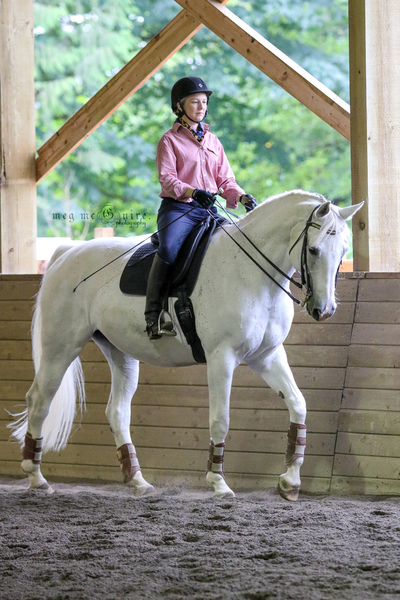 Only for professionals, the School offers a comprehensive riding instructor training program that starts with The Basic Training Course and continues with the Advanced Course. 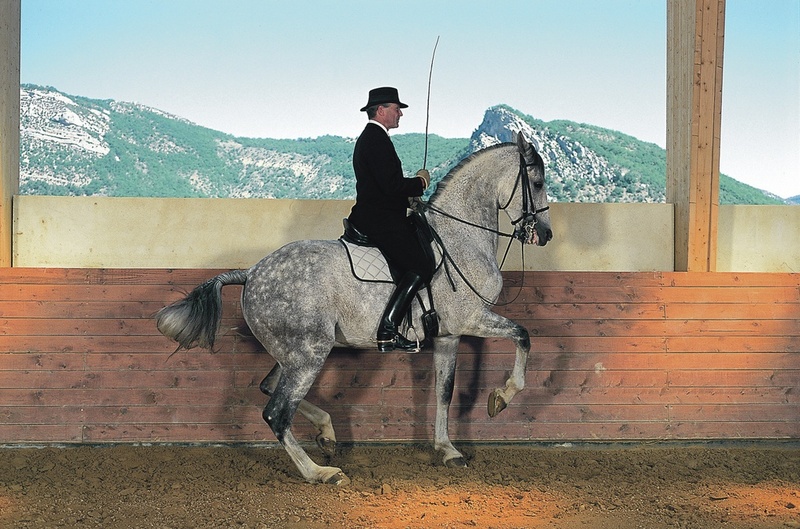 The Basic Training Course stretches over 3+ years and is taught by Légèreté Master Instructors hand picked by Philippe Karl. Instruction is provided 3 times a year in 4-day clinics. The last, or 10th, clinic is the final 4-part exam. The School only accepts into its program those with an established professional base, even if only part-time. 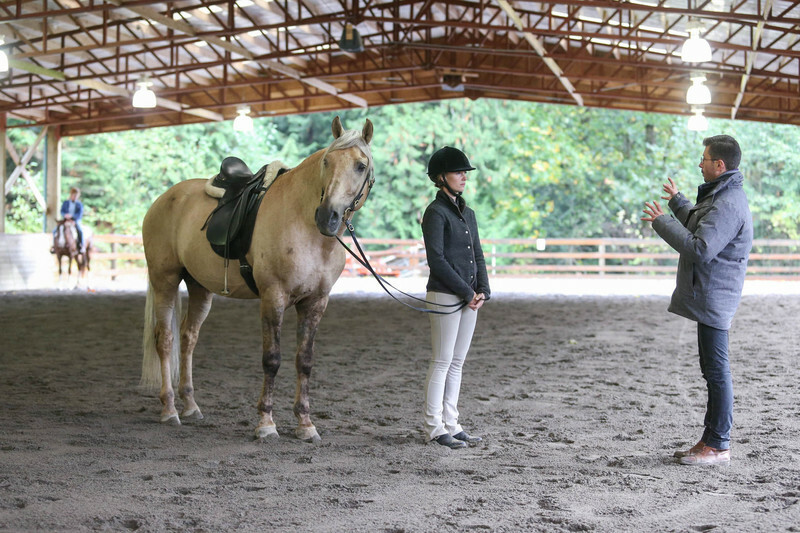 The result is a standard of riding instruction that can be sustained in a riding school program. 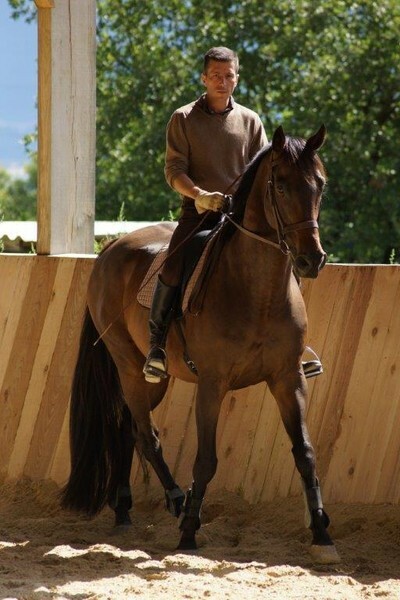 Most important, it also sustains the horse, giving him or her the best protection from breaking down. 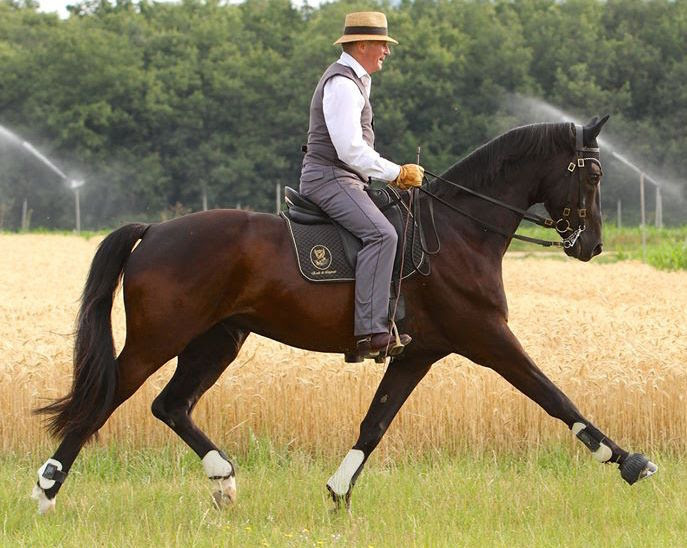 Légèreté is applicable to most disciplines and most horses at whatever stage of development or age. 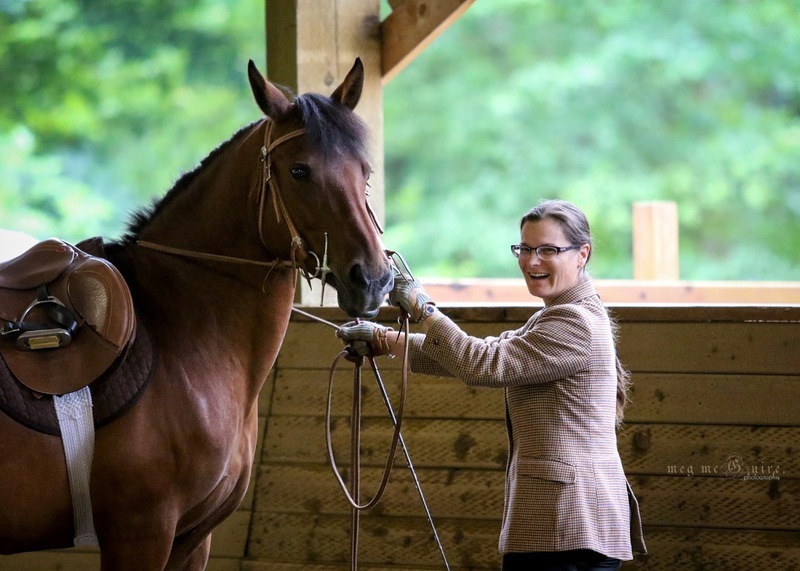 Confused or mistreated horses, inexperienced to highly competent riders—all benefit from this innovative method that thousands are adopting around the world. 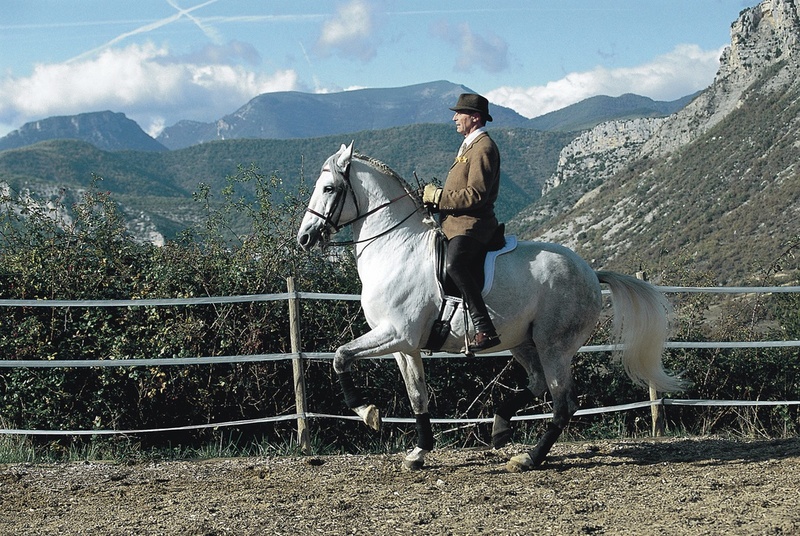 Successful students of the School receive a certificate as “Riding Instructor of The School of Légèreté,” which allows them officially to teach this riding philosophy in the name of Philippe Karl. As this training concept is legally protected by patent against plagiarism, distortions or arbitrary, and unauthorized use, no one may claim to teach Légèreté, represent the School of Légèreté or lay claim to the lessons of Philippe Karl without having received certification. 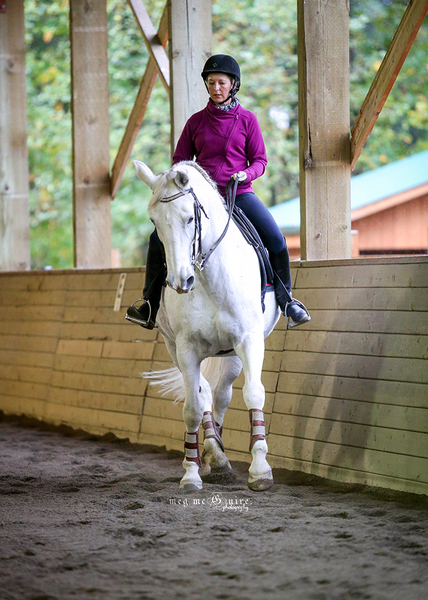 Trainers Basic Course Rider Sherry Leväaho working with Nicolina, a Canadian-Arab cross. Amateurs benefit as well as professionals. Luckily, being a student of Légèreté is not for professionals alone. 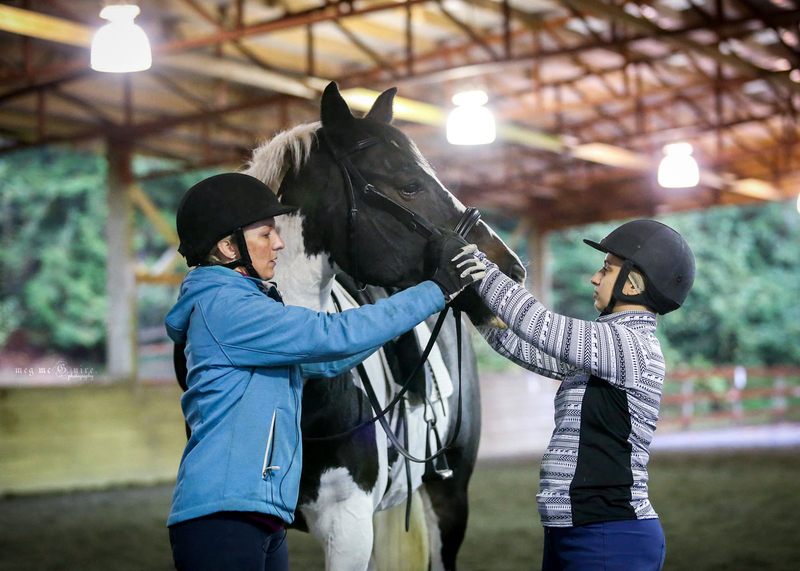 If you ride, own, or are involved with horses in any way, you are welcome to engage with our School. Attaining a true and deep understanding of this work can be accomplished through any number or combinations of study. Because there is a lot to understand and learn, we encourage you to start by reading Mr. Karl's books and watching his DVDs. Also, audit a Trainers Basic Course clinic to observe professionals progressing through course work. 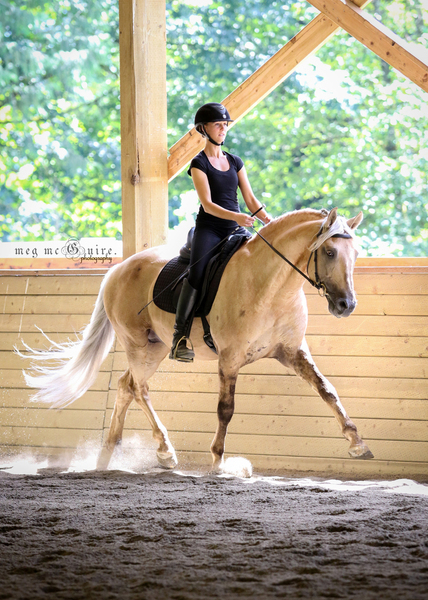 If you ride, try a few Légèreté Intro Clinics to get a feel of the methods yourself (we can even provide a mount if you don't have one). 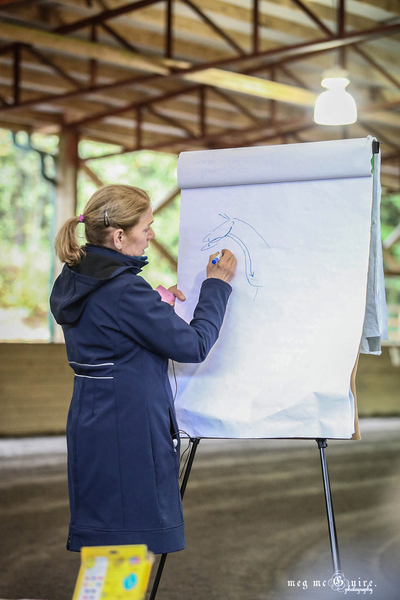 As an auditor or rider, you'll further benefit from lectures covering Légèreté theory given by the Course Instructor teaching the clinics, and riders also get homework. To get the most out of what's available, sign up as a Full-Course Auditor to attend all 10 clinics that make up a course. 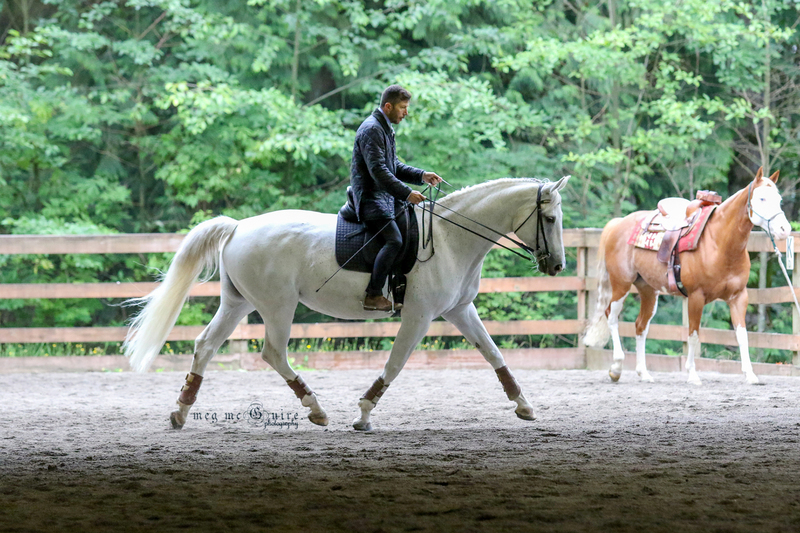 You'll follow 8 riders through their course work and final exams. 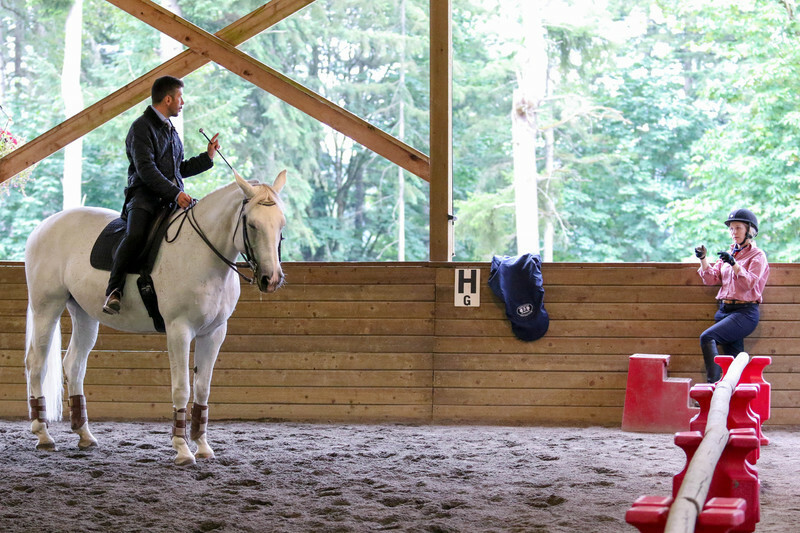 Another great option is to connect with one of Our Course Riders for lessons. Participants come from far and wide, including Washington, Oregon, Idaho, Montana, Northern California, and British Columbia. It takes more than one book or clinic to entirely grasp this new concept and why the method works. That's why we're here to guide you. We encourage you to immerse yourself in Légèreté. For those who do, it's life-changing. 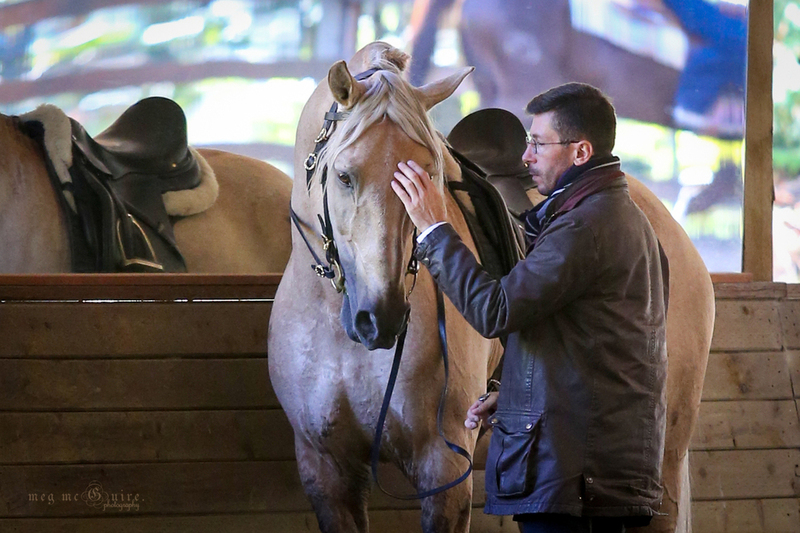 It's the answer many of us have been searching for, for a long time, for our horses and our life. Join us and the growing numbers of Americans who are embracing Légèreté! I welcome your interest and questions. Contact me! Visit Légèreté USA (LUSA) here. This site offers information about the three USA-based Schools of Légèreté currently located in California, Pennsylvania and Washington state.